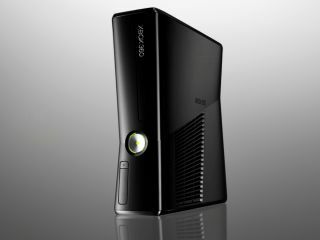 The Xbox 360 has had its biggest sales week ever and it's all to do with the US' Black Friday sales extravaganza. According to sales figures 960,000 Xbox 360 units were shifted in the US last week which is the most in a week since the console launched seven years ago. And it's not just the console that's flying off the shelves but Kinect too. In the same week, 750,000 Kinects were sold either separately or as part of an Xbox 360 bundle. "Entering the seventh year of its lifecycle, Xbox 360 just closed the biggest sales week in the history of the hit digital entertainment system, selling more than 960,000 consoles in the US during the week of Black Friday," said Microsoft's blog about the landmark figure. According to Microsoft, if sales continue as they are, then the Xbox 360 will reach its eleventh month as the number one console in the US. Although a predominantly US idea, Black Friday was also embraced by UK consumers this year, with the likes of Amazon, Comet and Apple. With sales figures like this, it will be interesting if Microsoft do indeed announce the Xbox 720 in 2012 - as it seems there's plenty of life left in its now-gen console.